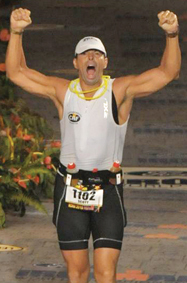 "I cramped and had a dificult time in every race I have ever done, until 2010 Ford Ironman World Championship, Hawaii, because I followed this Protocol for the entire race. I used all the products. The CARBO-PRO and MetaSalt made my day. I had a great race."